Our ability to forgive, give, and love, comes down to one qualifier: "It depends on who it's for." As we learn more about Jesus and his powerful sacrifice, it becomes easier to devote ourselves to Him. With that objective in mind, Horizon embarks on an ambitious journey through the Book of Revelation, to better understand what the Bible says about Christ and the world's end. In light of who He is, and how much time we have left, how should we live? 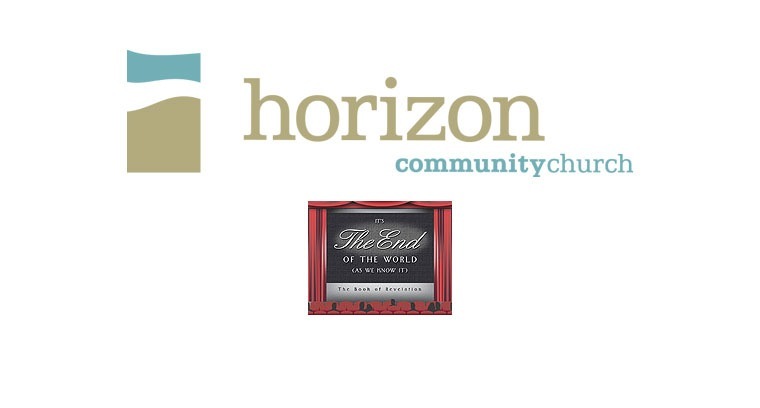 Join Horizon for It's the End of the World (As We Know It) and find the answers. Series runs Aug. 22nd through Dec. 19th, 2010.